HERE’S HOW IT WORKS: As you check out - leave a "NOTE TO SELLER" with the item you would like for FREE! PLEASE.... DO NOT purchase your FREE item OR place it in your shoping cart... INSTEAD follow the above simple guidelines. • Free items will be delivered to you by email. • Free item will be emailed within 1-3 business days. • Free items are NOT delivered on weekends or holidays. 1. - All FREE items are a digital product, nothing will be shipped by mail. 2. - You may print your purchase from home or at your local printing center. 3. - All BOGO sales are final. There are no exchanges, returns or refunds for a digital purchases or on the BOGO FREE item. 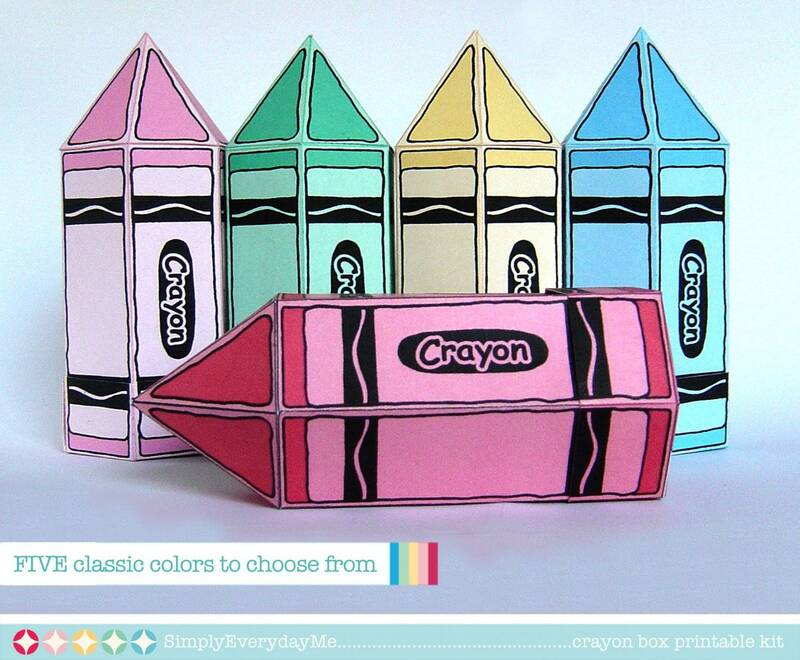 (¸.·´These FIVE Crayon Boxes will whisk you back to childhood and your first box of crayons. 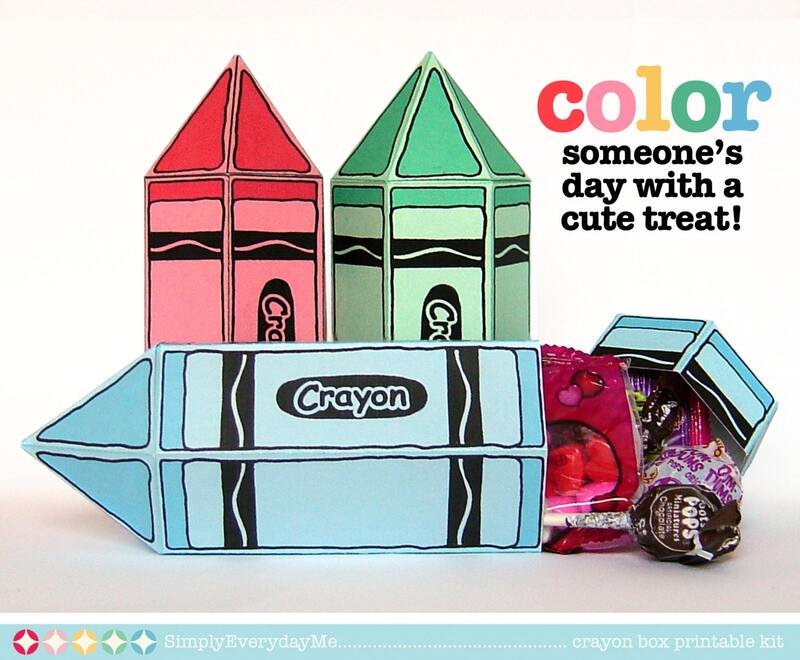 The kit includes: FIVE Classic Crayon Colors - (red, blue, yellow, green, pink) ★ Full color step-by-step instruction to get you crafting right away. NOTE: For best results, use the free Adobe Reader, especially with editable PDFs. You may print as many as you need. Each page fits within an 8.5”x11” letter or A4 paper, and 110lb cardstock is recommended. When assembled, box measures: 2.25"w x 5"h x 6.5". 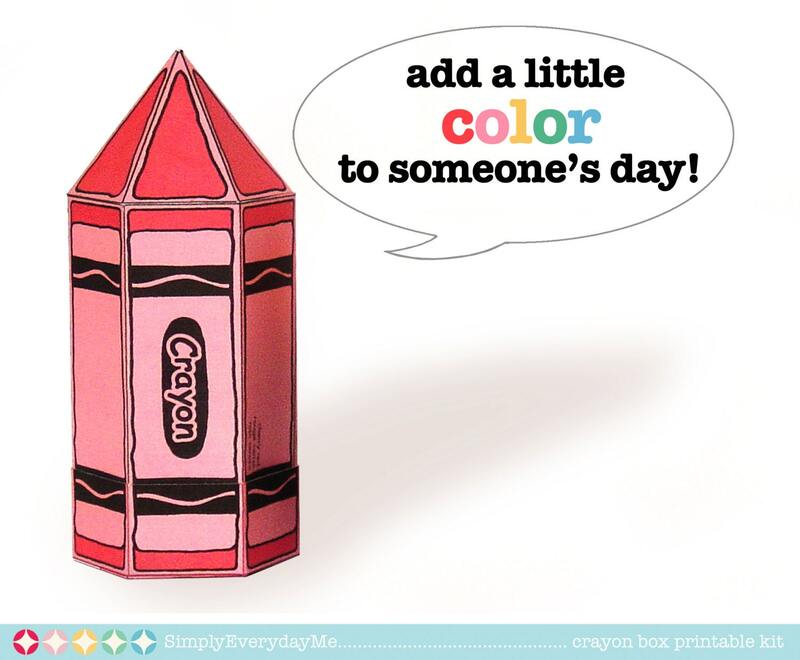 Make someone smile with a little Crayon Box filled to brighten their day. 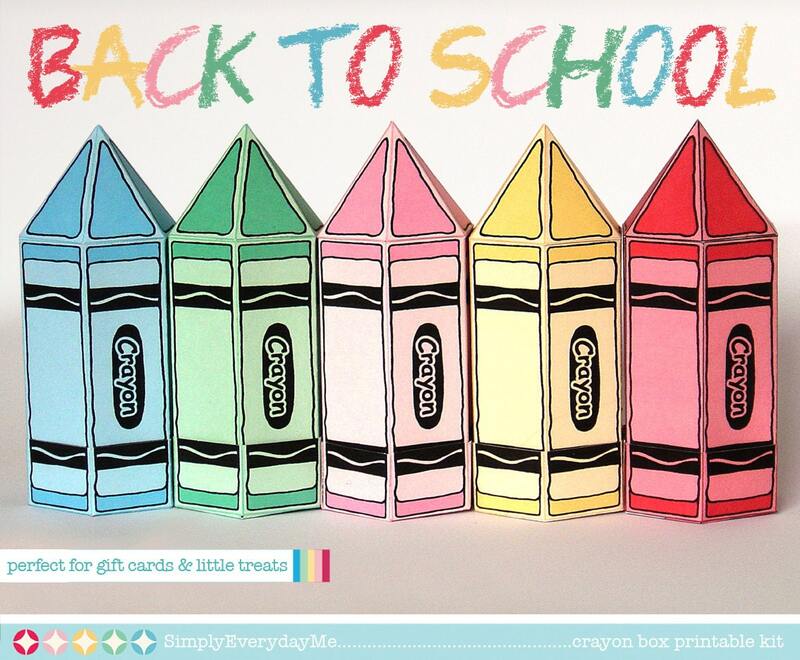 You’ll enjoy using them for birthdays… back to school parties… last day of school… tell a favorite teacher they’re special... and don’t forget your blooming artist... student... or for the young at heart … anyone who remembers their first box of crayons will love receiving a little something special in these boxes. SimplyEverydayMe delivers instantly! Say ‘hello’ to INSTANT DOWNLOAD and ‘bye-bye’ to shipping. NO physical item will be shipped! This item is an instant download product, so you can get crafty in a jiffy! With your purchase, the kit includes: printable kit, full color, step-by-step instructions, tools & materials needed & paper suggestions. Please visit the shop policies (on the tab above) for FAQ’s, digital downloads, and printable policies. Were easy to put together.